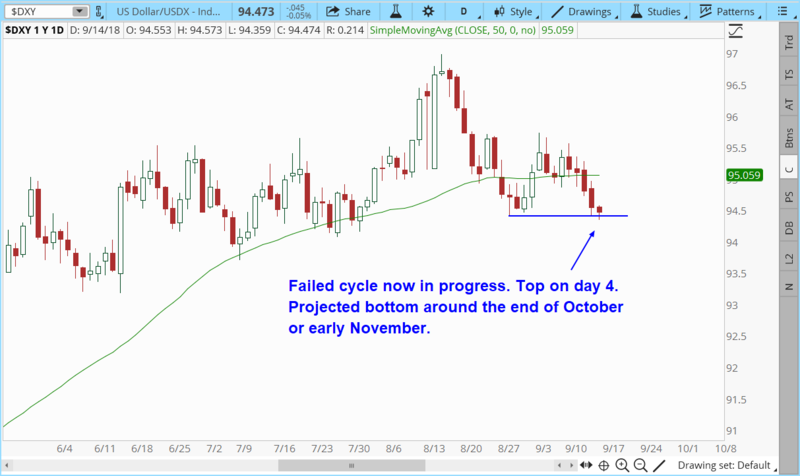 Gold: bigger rally than many are expecting once we pass the rate hike? This entry was posted in Uncategorized on September 17, 2018 by Gary. This entry was posted in Uncategorized on September 15, 2018 by Gary. Dumb money always assumes a trend will continue indefinitely. They buy at tops and sell at bottoms. 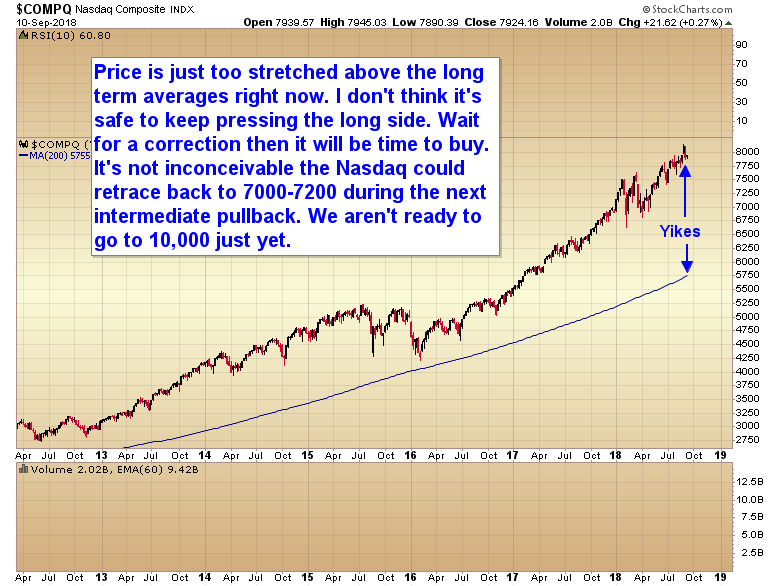 I’m going to show you something and caution again that now isn’t the best time to keep chasing the stock market. 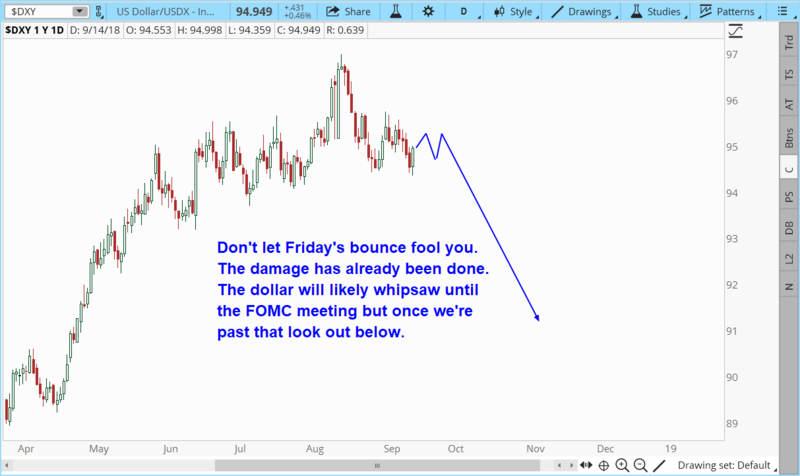 Yes the Fed will probably manage to keep the market propped up ahead of the rate hike on the 26th but they are sowing the seeds of the next crash by not allowing the market to correct naturally. 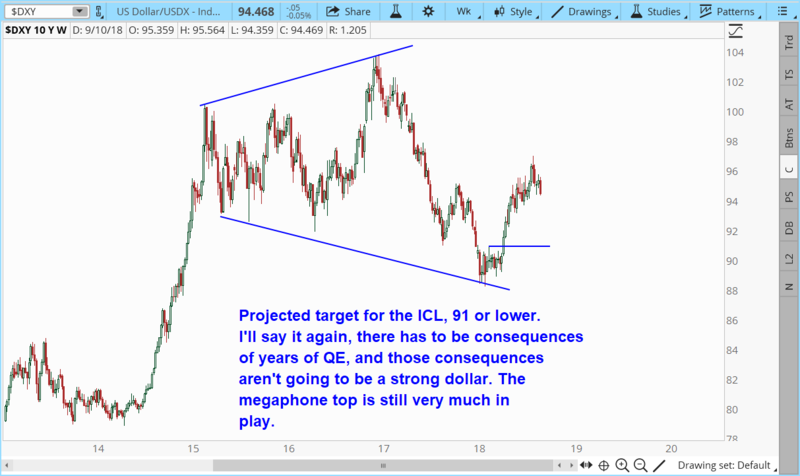 ICL’s have to break the intermediate trend line… and they usually move well below the trend line before a final bottom. 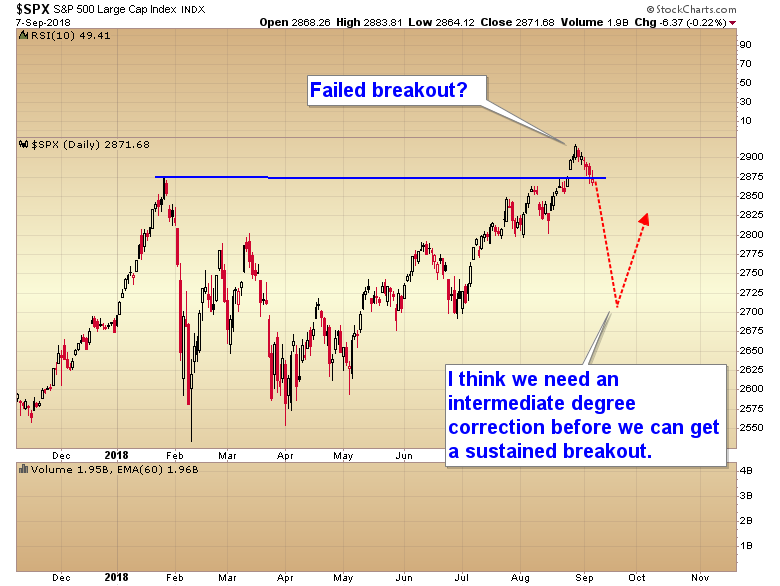 In the chart you can see where that trend line is and the magnitude of the correction that lies ahead. This is why I say be patient right now. 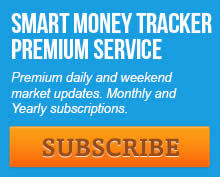 There’s no need to chase the market and risk getting caught when the correction begins. I wouldn’t waste time and money trying to short. 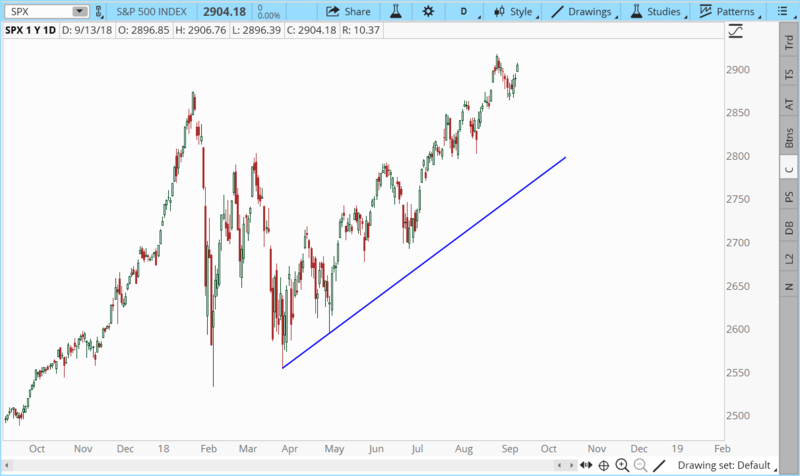 Just sit on the sidelines until that trend line gets broken, and sentiment turns bearish. 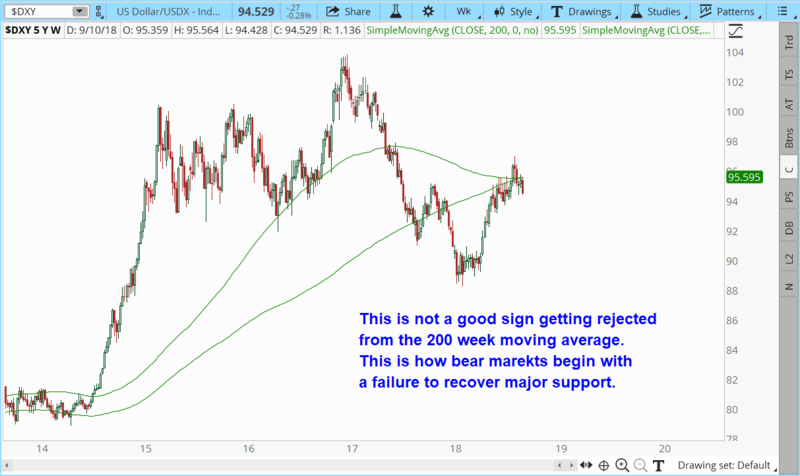 That’s when you will get the next buying opportunity with a lot more potential than trying to pick up a few pennies right now and risk getting steam rolled if you don’t exit in time. This entry was posted in Uncategorized on September 14, 2018 by Gary. This entry was posted in Uncategorized on September 13, 2018 by Gary. The SMT stock portfolio is back in the lead for now with +27%. Mustang Sally switched sides a little too soon and has given back a big chunk of her profits. This has been a very difficult year for everyone so far. 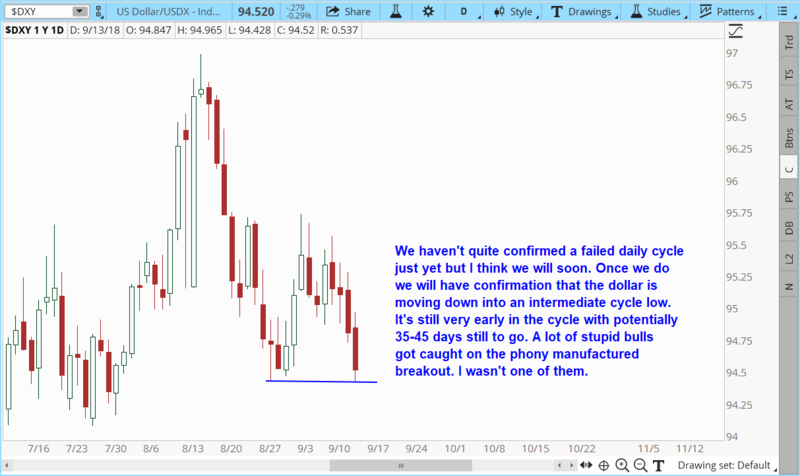 I suspect the winners come next July will turn out to be the traders that have the patience to wait for good setups. Unfortunately most people aren’t capable of sitting on the sidelines. They jump in and out of trades trying to make something happen. Usually they just over trade and end up making their broker money but very little profits for themselves. We aren’t in the same environment this year as last year. The first half of the year produced lots of volatility. It’s hard to make money in extremely volatile markets. I suspect we’re going to get more volatility soon with the elections and another rate hike coming. So I’m not sure it’s going to get any easier the last 4 months of the year. This entry was posted in Uncategorized on September 11, 2018 by Gary. This entry was posted in Uncategorized on September 10, 2018 by Gary. This entry was posted in Uncategorized on September 8, 2018 by Gary. This entry was posted in Uncategorized on September 5, 2018 by Gary.